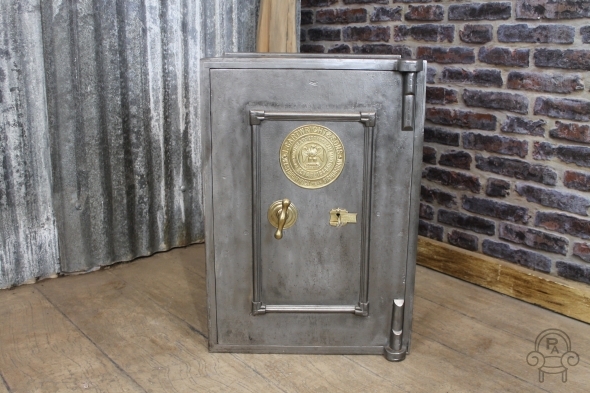 This hand burnished cast iron and steel safe is in full working order, and is a fantastic addition to our extensive collection of antique, industrial and vintage furniture. The safe comes with keys for the main door, but unfortunately there are no keys for the inside. The item is in a good condition, you can appreciate there is some wear and tear present to the interior paintwork of the safe. This would be a fantastic feature for any industrial or vintage style interior. Please note we deliver this item via a 2 man team.